Whorls of lance-shaped, pointed, toothed, dark green leaves. 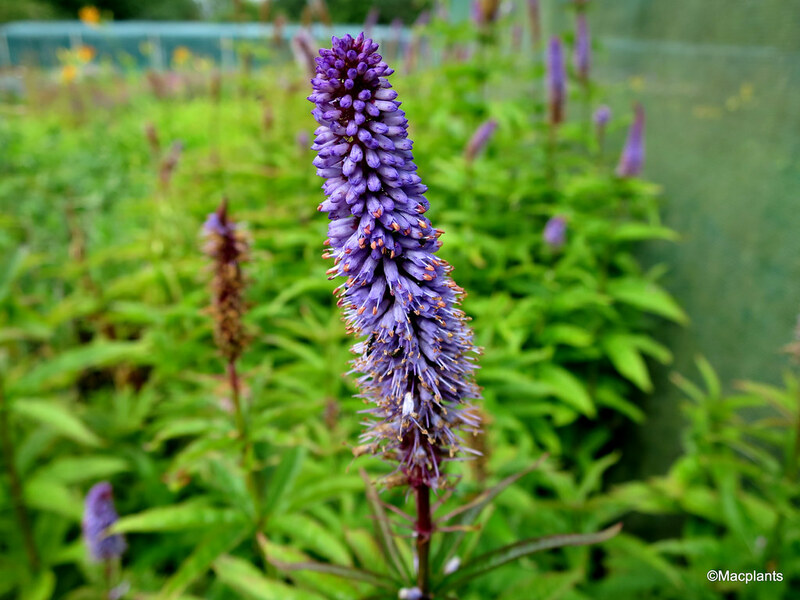 Upright stems of slender lilac-blue flower spikes. Smaller, branching, lateral flower spikes also occur when in full bloom. Jul-Sep. H120cm S60cm. Grow in moderately fertile, humus-rich, moist soil in full sun or partial shade. Excellent for providing vertical interest in the herbaceous border and useful in prairie plantings and it associates well with grasses. A magnet for bees. Macplants are central/southern Scotland's largest growers of herbaceous perennials, alpines, ferns and ornamental grasses. We have our plant centre open to the public in East Lothian, close to Edinburgh and we also supply a diverse range of trade clients both in the landscape and garden centre sectors. We grow a large range of plants including many interesting and unusual varieties not usually seen for sale. Amongst the many plants we grow are our highly praised autumn Gentians bred here by Dr Ian McNaughton and probably the largest range of Meconopsis cultivars found anywhere.